PC Games to become uncrackable in 2 years? PC Game pirates 3DM have not been able to crack the latest Just Cause 3 game, and the pirate group is abandoning operations on single player titles for a year. One of the biggest piracy groups 3DM, has warned concerned gamers that video games will become un-crackable in just two years. This claim comes in the wake of non-crackability of Denuvo security protecting Just Cause 3. Generally, single player games are cracked and put out on torrent sites within a week of launch but with advancements in piracy softwares, like the security used by Denuvo softwares, has made it difficult to pirate games. 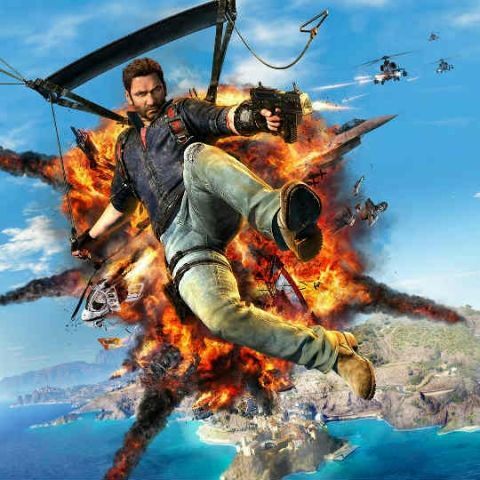 Just Cause 3, the Avalanche studios / Square Enix title launched on December 1, 2015 and uses the latest version of Denuvo’s anti-tamper software and even after two months , the game remains un-cracked. Denuvo softwares first came into limelight in 2014 when it was used on EA’s Dragon Age Inquisition. While the game was eventually cracked, it took game pirates almost a month to do so. Previously 3DM has been successful in cracking games with Denuvo security but till now their lead cracker Jun is unable to do so and has nearly given up. This was revealed In a blog post by 3DM member ‘Bird Sister’ which was reported by Torrentfreak. She said, “Recently, many people have asked about cracks for ‘Just Cause 3’, so here is a centralized answer to this question. The last stage is too difficult and Jun nearly gave up, but last Wednesday I encouraged him to continue,”. She also adds, “I still believe that this game can be compromised. But according to current trends in the development of encryption technology, in two years time I’m afraid there will be no free games to play in the world,”. However, that’s not all, according to Torrentfreak, 3DM will stop cracking single player games starting this Chinese new year, i.e. February 8. Trying to justify its stand 3DM member, Bird Sister said, “We’ll take a look at the situation in a year’s time to see if genuine sales have grown,”. This is a huge blow for gamers who rely on 3DM cracked games but whether this move push the concerned gamers towards buying original games, remains to be seen. Also, while 3DM says that there will be no free games in 2 years, 2 years is a long time and technology may change in the coming year. There are chances that game crackers may overcome hurdles like Denuvo but till then gamers who rely on game pirates might have to buy games protected by Denuvo anti-tampering software.